SYDNEY (Reuters) - Hackers steal $160 billion worth of intellectual property from Western companies every year, according to cyber-security experts. The damage, they say, is incalculable and Western governments have made it a priority to protect their nations' commercial assets. "They said you're on your own," McGurk told Reuters, referring to the Australian government officials he lobbied to help with his problem. The Australian government did not immediately respond to queries about Codan. Codan's experience provides a rare look at the longer-term impacts of hacking on companies, as most keep the extent of an incident under wraps. In fact, experts say many firms continue to turn a blind eye to cybersecurity even as hackers become increasingly sophisticated. A PriceWaterhouseCoopers report found the average information security budget dropped 4 percent to $4.1 million last year, reversing a three-year trend of rising funds to tackle cybercrime. 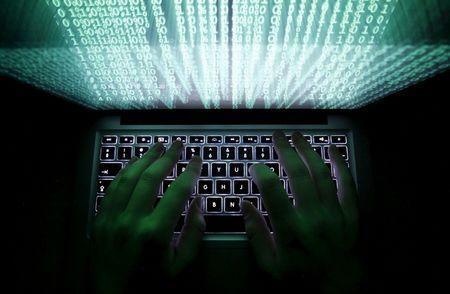 That was even as the total number of detected security incidents jumped 48 percent to 42.8 million globally, PWC said. 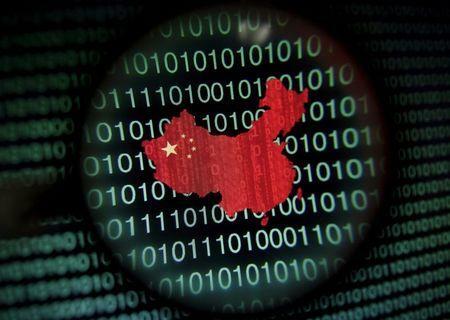 Bryce Boland, chief technology officer for Asia at cyber-security firm FireEye Inc, said many companies are too focused on the reverse engineering capabilities of Chinese companies, which allow them to copy products within weeks of their public launch. "They may be good at reverse engineering but they're much better at just getting the plans during the development phase (via hacking) and leveraging those immediately," Boland said by telephone from Singapore. Codan began to realise it had a problem when it started receiving faulty metal detectors back into its services centre in 2011. Those products, stamped with the Codan logo, had unrecognizable, inferior parts. Then the Australian Security Intelligence Organisation (ASIO) came knocking: a Codan employee's laptop had been hacked into when he logged on using hotel wifi during a business trip to China. With an African gold rush underpinning demand for the metal detectors, Codan's blueprints had been filched by a Chinese manufacturing chain. China meted out jail terms of up to two years for the principals of three first-tier manufacturing companies in the supply chain, while Dubai fined several players around A$5,000 ($3,859.50) each, McGurk said. Codan, meanwhile, was forced to slash the price of its gold detectors from around A$4,000-A$5,000 to around A$2,500 to compete with the counterfeiters. China has called the U.S. comments irresponsible, while President Barack Obama vowed that the U.S. would aggressively bolster its cyber defences. FireEye said it uncovered a hacking campaign in June by a China-based group it calls APT3, targeting organizations in the aerospace and defense, construction and engineering, high tech, telecommunications and transportation industries. FireEye says APT3 engages in "phishing", a technique of sending company employees innocuous emails containing website addresses which trick them into downloading programs that automatically lead to protected information. It says APT3 is especially sophisticated because it constantly changes online identities, making it difficult to track. Codan is ramping up its defences. The Adelaide-based company is introducing encrypted products, employs three or four people to work full-time on preventing hacking-led counterfeiting and has an Australian lawyer whose sole role is to coordinate those efforts. "I don't think you could ever presume it's behind you, but now we're in a position to understand what's happened," McGurk said. "It's like playing Whack-A-Mole. They just pop up somewhere else."